Spanning the course of 60 minutes and focusing on corporate and personal politics, the first full-length album by this British quintet is not only a huge step forward in their career, but also a lesson in Sludge and Progressive Metal. Armed with the thickest riffs and fieriest will, Sludge/Progressive Metal act OHHMS was formed in 2014 in Kent, a county in South East England, aiming at blowing our minds with their monolithic, doomed music. 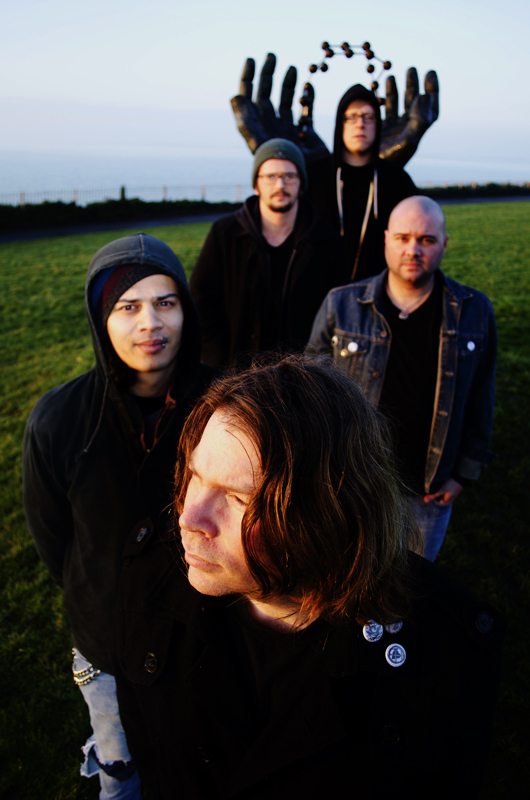 After the release of their debut EP Bloom in 2014, followed by another EP title Cold in 2015, OHHMS started to build a strong reputation in their homeland’s underground scene, playing big festivals such as Desertfest and Temples, and also sharing the stage with acts like The Skull, Conan and Rolo Tomassi. Now, three years after their thunderous beginnings, the band is back with their debut full-length album, the heavy and sludgy The Fool, another step forward in their short but solid career. Spanning the course of 60 minutes of hard-hitting, progressive music, The Fool delivers five thunderous songs that focus on corporate and personal politics, all wrapped up in an elegant tarot-inspired packaging designed by Black Sails Design. With two of its songs going over the barrier of 10 minutes (one of them having over 20 minutes in duration, by the way), something inconceivable for any regular radio station or TV show, The Fool won’t provide any sort of “music for the masses” to you, but an introspective and very peculiar journey through the minds of the five talented musicians behind OHHMS, and that’s in my opinion what makes this album so distinct and impactful. The acoustic intro Shuffle, Cut and Reveal slowly introduces us to the sluggish and heavy The Magician, which after a fast-paced beginning smoothly flows into traditional Stoner Metal, with Max Newton smashing his drum set while lead singer Paul Waller blasts sheer anguish through his vocals. The Hanged Man is a top-notch musical voyage, flowing from an ominous intro into 13 minutes of progressiveness, slow-paced passages and a somber ambience. Max adds endless intricacy to the music with his beats, while guitarists Daniel Sargent and Marc George alternate between heavier riffs and gentle lines, with the overall result being so compelling you won’t notice the length of the song at all. Even more progressive than its predecessor, The World is a song that combines in a potent way the heaviness of Stoner Metal with the experimentations of Progressive Metal, not to mention its hints of several other styles such as Industrial and Doom Metal, with Max and bassist Chainy Chainy building a more-than-thunderous atmosphere with their respective instruments. The superb The Lovers is beautiful and thrilling from start to finish, with all instruments creating the perfect ambience for Paul and a mysterious (and wonderful) female voice to complement each other’s lines flawlessly. It’s a slow and serene ballad recommended for true lovers, or in other words, simply close your eyes and feel your significant other’s embrace while listening to this awesome composition. And as the icing on the cake OHHMS present to us The Hierophant, a bold, complex and mind-blowing 21-minute extravaganza, where the whole band is able to display all their skills as great musicians they are. After over two minutes of initial dissonant noises, Paul arrives with his somber vocals, and this eccentric atmosphere goes on until at around six minutes the rest of the band joins him, becoming a sonic experimentation through the realms of Sludge and Stoner Metal, with highlights to the bestial, crushing riffs by both Daniel and Marc (in special during the song’s final part). One might say The Fool is not an album for the average listener, but in my humble opinion I think this album is a great opportunity for newcomers to the world of the lengthy and sluggish sounds of Stoner and Doom Metal to explore the uniqueness of this subgenre of heavy music. 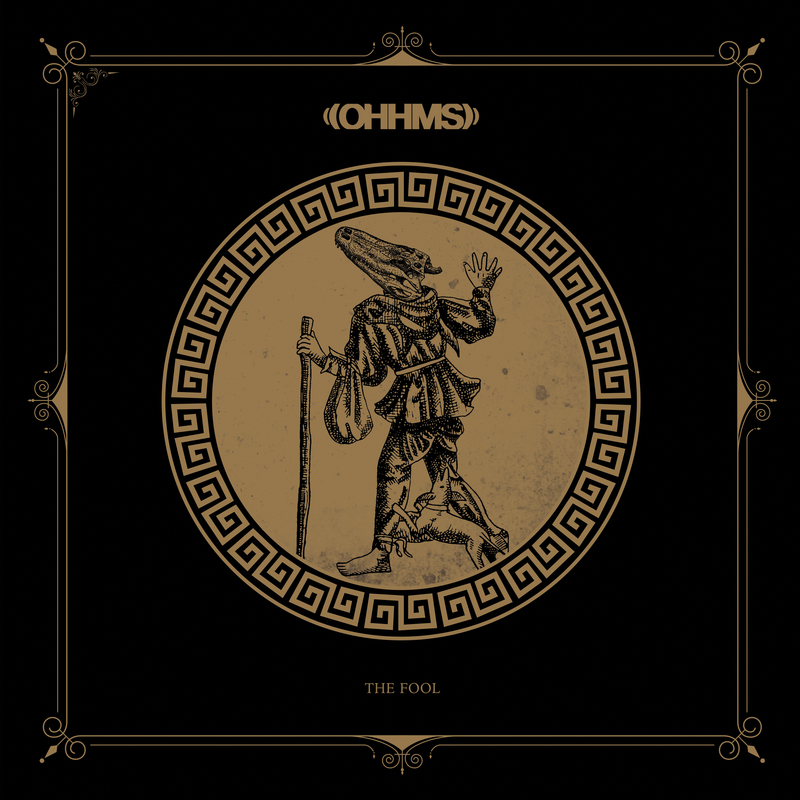 Well, newcomer or not, you should definitely go check what OHHMS are up to at their Facebook page and, if you’re already hooked on their music, purchase The Fool through their BandCamp page, at the Holy Roar Records’ webshop, on iTunes, on Amazon or at Discogs. Best moments of the album: The World and The Lovers.